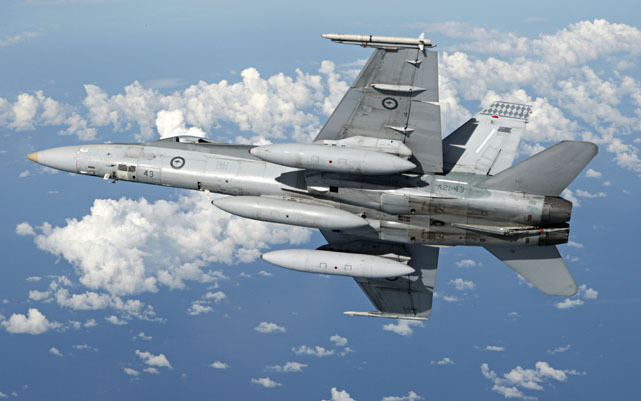 The Project Air 5376 Phase 3.2 program to replace fuselage centre barrel structural components on the RAAF’s fleet of F/A-18A/B Hornets has officially wrapped up following the handing back of the 10th Hornet to be rebuilt by BAE Systems Australia to the RAAF. Originally planned to encompass up to 49 Hornets, the centre barrel replacement (CBR) program ended at just 10 aircraft due to the complexities in performing the work, the higher than expected part count required, and the nearly 12 months each aircraft was expected to be out of service during the refurbishment. Each aircraft had to be ‘torn down’ by BAE prior to it being flown on board an An-124 transport to L-3 MAS’s facility in Mirabel, Canada, where the three main elements of the centre barrel were replaced. The aircraft was then flown back to Williamtown on an An-124 where it was re-assembled, flight tested and re-delivered to the RAAF. Early issues with the program included a much bigger than expected requirement for fasteners. 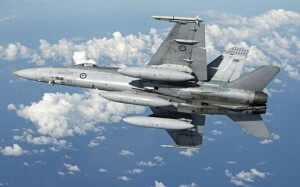 The RAAF Hornet fleet will require ongoing structural refurbishment work, including but not restricted to areas in the wings, main undercarriage and fuel tanks in order to see it through to its planned life of type in 2020, by which time the oldest aircraft will have been in service 35 years.